The largest of Canada’s Rocky Mountain Parks, Jasper National Park is situated in western Alberta, running north and west, along the eastern slopes of the Canadian Rockies, from the Columbia Icefield to the Willmore Wilderness Provincial Park. Wildlife is abundant and it is very common to see elk, bighorn sheep, deer, coyote, and even black bear throughout the park. For centuries, a vast network of trails served as an essential passageway for the aboriginal people hunting throughout this region. these same trails were used by the explorers and fur traders who began arriving 250 years ago. Today they are source of recreation and escape for the hikers who come to enjoy Jasper’s natural wonders. In 2007, Jasper National Parkhonored its past and look toward its future as it celebrated 100 years of cultural and natural history as a protected place. To commemorate such a milestone, Jasper National Park is planning one hundred days of celebration. Centennial celebrations will include exhibits, events, publications, a centennial documentary, learning opportunities and the creation of various legacies. It’s an opportunity for all to learn about Jasper’s natural and cultural heritage, and how to become better stewards of all protected places. It is a unique time to feel the power of our landscape and the richness of our past, and to commit to our future. In 2007, Jasper National Park was the place to be. Although Jasper National Park has seen many changes in the last century, much of the park remains wilderness. The largest of Canada’s Rocky Mountain Parks, Jasper spans over 10,800 km2 of broad valleys, magnificent rugged mountains, glaciers, waterfalls, forests, alpine meadows, and wild rivers along the eastern slopes of the Rockies. Jasper National Park protects a diverse variety of wildlife and plants. 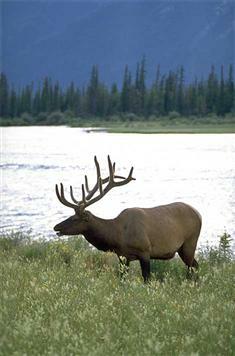 Large numbers of elk, bighorn sheep, and mule deer, as well as their predators make Jasper one of the great delicate and carefully protected ecosystems in the Rocky Mountains. This vast wilderness is one of the few remaining places in southern Canada that is home to a full range of carnivores, including grizzly bears, mountain lions, wolves and wolverines. In 1907, when it becomes apparent that two transcontinental railways will soon pass through the Athabasca Valley, the Dominion Government sets aside an area of about 13,000 km2 (5000 sq. miles), establishing Jasper Forest Reserve. In 1911, the Grand Trunk Pacific Steel reaches Fitzhugh Station. The name is changed to ‘Jasper’ two years later and Jasper Town is laid out by the government. In 1930, the National Parks Act is passed and Jasper is officially established as a national park. And in 1931, as a relief project for hundreds of men, work begins on the Jasper-Banff Highway. The road (known nowadays as the Icefield parkway) is completed in 1940 just in the nick of time, as the nation’s resources are soon fully devoted to World War II. In 1913, Jasper National Park superintendent, Lieutenant Colonel Maynard Rogers, was overseeing much of the early development of the Jasper townsite. He had visions of a unified architectural theme for the town, believing local materials and building methods should be used. Completed in 1914, the Jasper Park Information Centre originally housed park administration offices, a museum, a fish hatchery, and living quarters for the park superintendent. Designated as a Federal Heritage Building in 1992, this picturesque fieldstone park building is now one of the finest and most influential examples of rustic architecture in Canada’s national parks. London, UK … Jasper National Park of Canada was honoured today in London as a 2007 recipient of the World Travel Market Global Award in the North American region. Nominated by the Canadian Travel Press, this award recognizes the Jasper National Park’s significant contribution to the travel and tourism industry during its centennial year. The park works closely with many partners and organizations involved in the travel industry to increase awareness of this protected heritage place as a sustainable tourism destination. 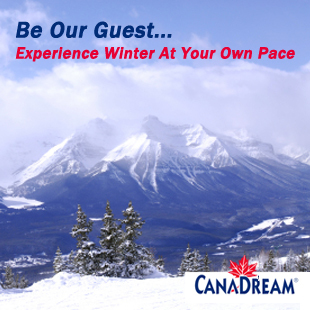 As a part of the UNESCO Canadian Rocky Mountain Parks World Heritage Site, Jasper National Park and their partners offer authentic experiences that feature the wildlife, landscapes and stories of these mountains, rivers, valleys and glaciers. Spanning over 10,000 square kilometres (4200 square miles), the park offers spectacular drives as well as hiking and biking trails for all ability levels. 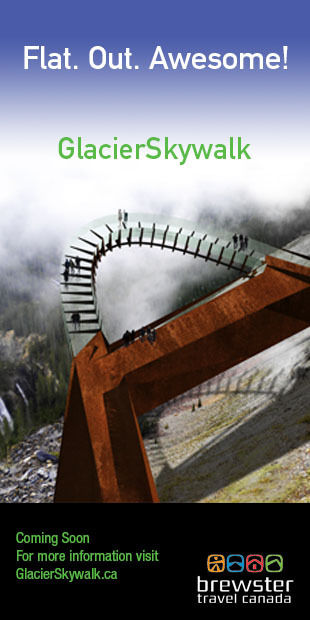 The park welcomes nearly 2 million visitors each year and is one of the cornerstones of the tourism industry in Alberta. The community of Jasper, located within the park, offers world-class services to help visitors make the best of their stay. Canada has the distinction of having established the first parks organization in the world, and Jasper, established in 1907 is one of the oldest parks in Canada. The family of protected heritage places managed by Parks Canada has grown to include 157 national historic sites, 42 national parks and three national marine conservation areas. Canada’s protected heritage areas are consistently identified to be among the country’s most powerful national symbols in public opinion polls. These special places help protect and present the nature and culture of Canada. Credits: Historic Jasper Townsite and Jasper Park Information Centre in 1914, courtesy of Parks Canada. 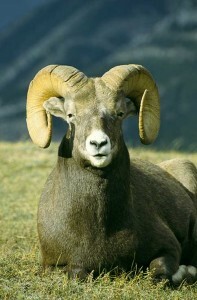 Wildlife Photos: Elk and Rocky Mountain Big Horn Sheep in Jasper National Park, courtesy of Travel Alberta.